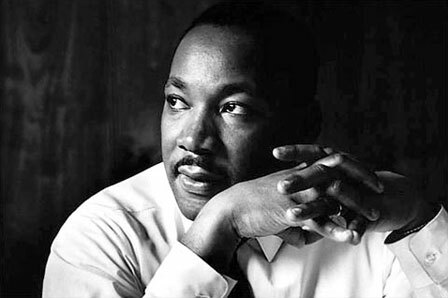 Lean Respect for People and Martin Luther King Jr.
Today on Martin Luther King, Jr. Day we celebrate the life and legacy of a man who brought hope and healing to America. We also commemorate the timeless values he taught us through not only his words but more importantly his example — the values of courage, truth, justice, compassion, dignity, humility and service that so radiantly defined Dr. King’s character and empowered his leadership. On this holiday, we commemorate the universal, unconditional love, forgiveness and nonviolence that defined his revolutionary spirit. Dr. King knew that it wasn’t enough just to talk the talk, that he had to walk the walk for his words to be credible. And so we commemorate on this holiday the man of action, who put his life on the line for freedom and justice every day, the man who braved threats and jail and beatings and who ultimately paid the highest price to make democracy a reality for all Americans. We commemorate the man who went to jail 29 times to achieve freedom for others, and who knew he would pay the ultimate price for his leadership, but kept on marching and protesting and organizing anyway. Freedom. By implementing Lean we are actually creating new-found freedoms for individual employees all the way to whole systems. When performing a 5S or Kaizen event it is imperative that we help team members understand that we are there to make their jobs better! By controlling any or all of the Eight Wastes we are freeing up new resources including time, space, and financial opportunities. This leads to increased value for end-use customers which leads to better financial and non-financial performance. Equality. Toyota first formally published its “respect for people” principle in a 2001 internal document. Respect for People means that we respect others and make every effort to understand one other and value all of their input. We believe that everyone has something to contribute whether it’s the building janitor who keeps the floors clean and safe to the CFO who is responsible for the financial well-being of the company. We are all equals and all in this together. Everyone is charged with taking personal responsibility and a commitment to do their best and build mutual trust which will maximize performance. Service. It was King who said, “Everybody can be great because everyone can serve.” As Lean practitioners we are also servants. Through the visionary thoughts, ideals and knowledge we impart to our colleagues and clients we aid them in leading more efficient, effective work environments which in time can lead to a better world for all of us. So in the spirit of today’s Holiday let us reflect and give thanks for the work we have the privilege of doing each and every day. P.S. As a part of 5S Supply’s commitment to service and training we are offering a FREE webinar “Introduction to Lean” this Wednesday, January 19, 2011. We hope you will join us.